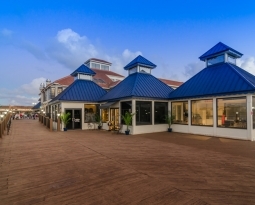 BOCA RATON, FL (BocaNewsNow.com) — The economy may be tough, but some are taking it as an opportunity to grow and build. Case in point, the Fountains Center in the area of West Camino Real, just off Powerline. The Fountains Center office and retail park in Boca Raton is undergoing an multi-million-dollar improvement which is contributing jobs to South Florida. Built between 1978 and 1988, the seven-building, mixed-use complex is located at 7000-7700 West Camino Real, just off Powerline Road. 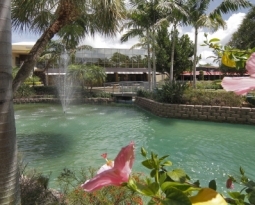 When Boca Medical Plaza, LLC acquired the 14.79-acre property known as The Fountains at Camino in February 2012, it renamed the park Fountains Center and committed substantial dollars to enhance and stabilize the park in order to attract new tenants and increase its value. Part-time Boca Raton resident Zvi Schwarzman, managing partner for Boca Medical Plaza, LLC, is also the founder and principal owner of Boston-based ZVI Construction Company. Providing construction management services in North America, Latin America, Europe, Asia,Australia and New Zealand for more than 30 years, ZVI has in excess of one-billion-dollars worth of commercial and residential projects successfully completed to date. Its contracts range from multi-million-dollar developments to small retail and tenant space improvements/renovations, including university, independent school, non-profit interests and corporate projects. Customized, turn-key design/build-outs are offered to tenants at Fountains Center, with ZVI Construction managing the work. The company is employing local subcontractors for the renovations and new interior build-outs for the multiple medical offices, executive suites, retail space and restaurants, as well for exterior enhancements. Nathalie Assens, a licensed agent and senior project manager with ZVI Construction for the past seven years, further personifies the tremendous wealth of industry knowledge and experience now available to new, expanding and future tenants at Fountains Center, as she has both a master’s degree in Engineering from France and a master’s degree in Contraction Management from M.I.T. She has also worked on numerous projects, including turn-key projects as far away as Sydney, London and Geneva. Assens does a thorough analysis of each space, listens to tenants in order to meet or exceed their expectations, supervises layouts, and handles specifications and the selection and organization of subcontractors up to the final delivery. “I’m involved from start to finish and find it very rewarding to see visions being turned into reality,” she pointed out. She said that the work at Fountains Center will be an ongoing process since as some tenants move out, others will be moving in and spaces will be in need of renovations and customized adjustments. The capital improvements made so far have boosted the occupancy rate at Fountains Center from 47% when the campus was acquired in February to approximately 80% by September 1. “We have many new tenants as well as lease renewals and expansions. Some of our buildings are full,” Assens explained. 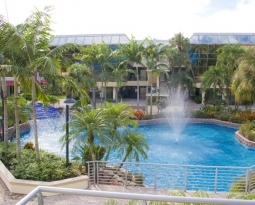 “Fountains Center’s central location, off a major north-south thoroughfare in the heart of Boca Raton, is a major draw. We continue to attract a preponderance of medical industry tenants because Fountains Center is within minutes of three area hospitals, and surrounded by residential communities with both full-time and seasonal residents who require health care services,” she said. are non-medical professionals, restaurants and small retailers. When fully leased, the complex will accommodate approximately 800 employees. The seven buildings are situated around a lush garden courtyard with multiple water features, footbridges, walkways and outdoor seating areas. Much of the total 184,575 net rentable square feet has garden views. There is also abundant parking around the perimeter.